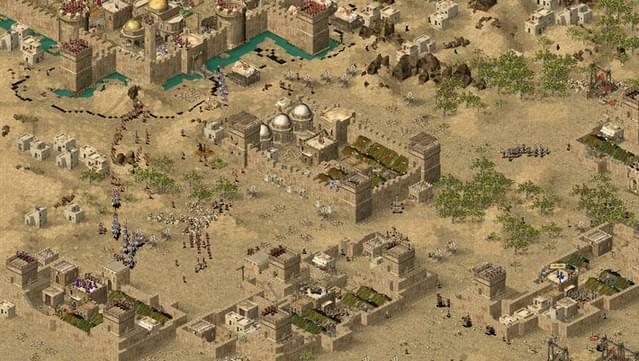 Journey to distant Arabian lands renowned for brave warriors and fearsome weaponry in FireFly Studios' Stronghold Crusader. 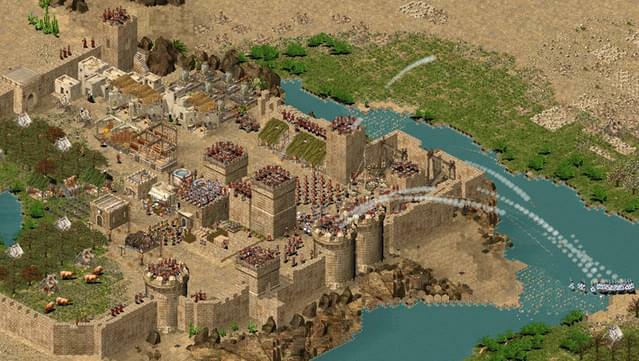 This highly anticipated successor to the best-selling Stronghold combines the finest aspects of a City Builder and RTS. 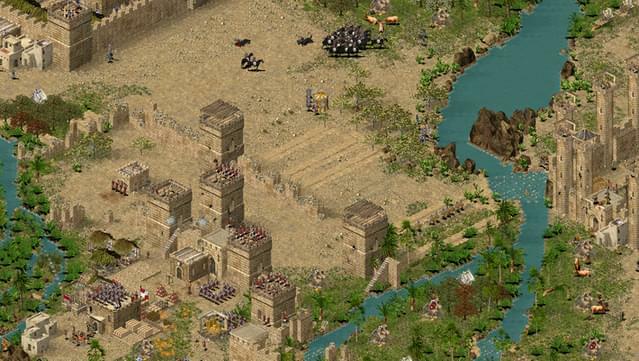 Lead a determined group of Crusaders, forged by centuries of barbaric foreign invader amidst the haze of the desert heat. 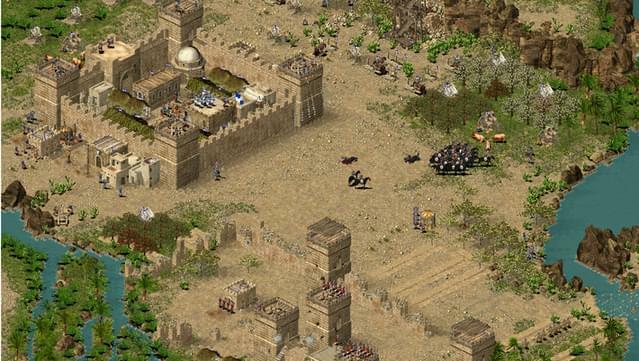 Now you have the chance to relive the historic Crusades in four campaigns as Richard the Lionheart and Saladin, the Sultan of Syria. 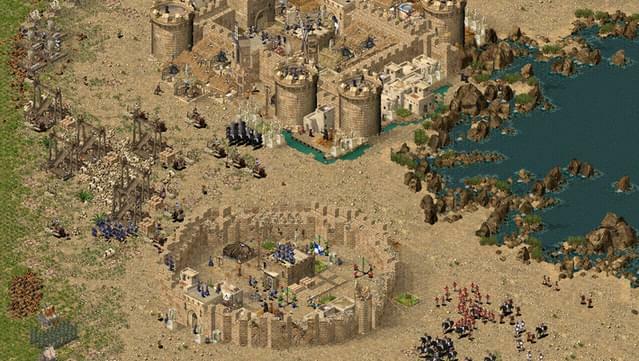 Attack the strongholds of fierce rival lords during the intense new "Crusader Mode". 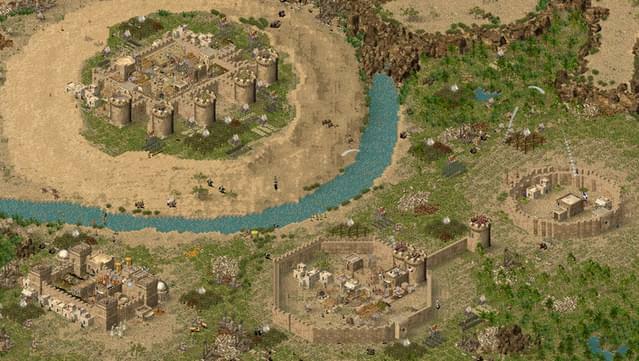 Conquer the "Crusader Trail" - 50 linked skirmish missions, each one more challenging than the last! 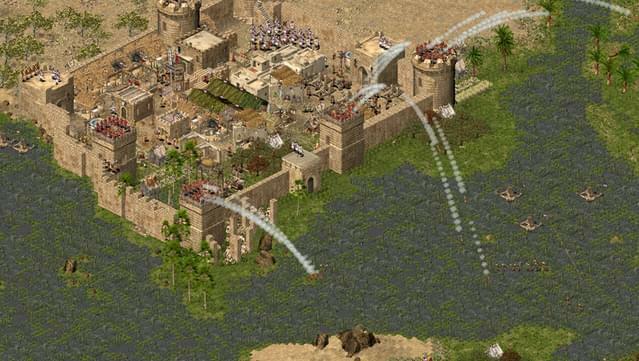 Storm enemy barricades with over 25 units! 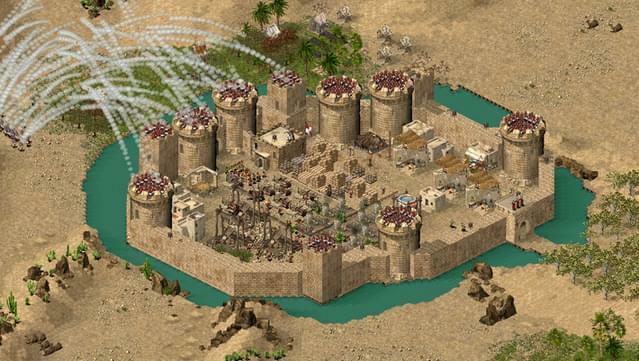 Create an awe inspiring fortress in the Castle Builder mode! 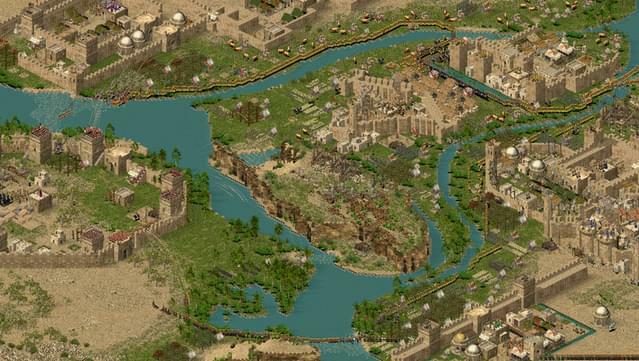 Design challenging new scenarios with the full-featured map and scenario editor! 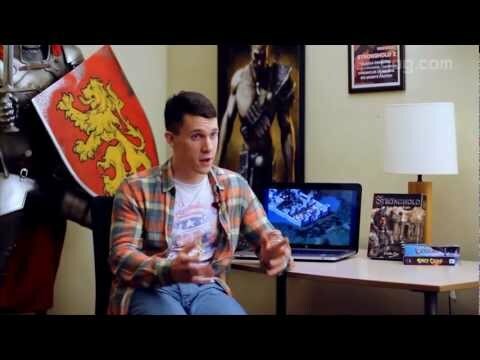 Join for the ultimate crusade for the crown! 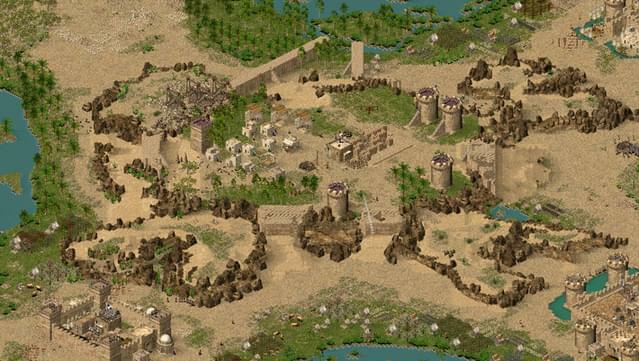 Crush up to 8 friends in multiplayer Skirmish Mode via LAN or over the Internet! 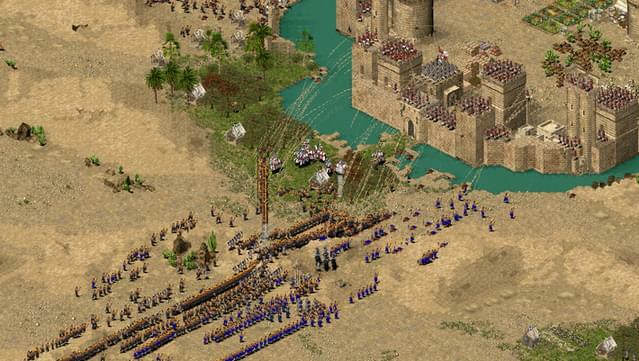 If you're a fan of historical strategy games and enjoy epic-scaled RTS combat, you simply can't say no to this one. 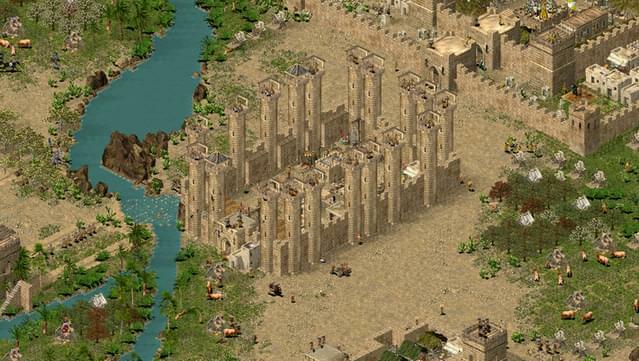 The new package includes the original Stronghold Crusader and Stronghold Crusader HD, which supports higher resolutions and the new HD battlefield view, which allows you to view the entire map. 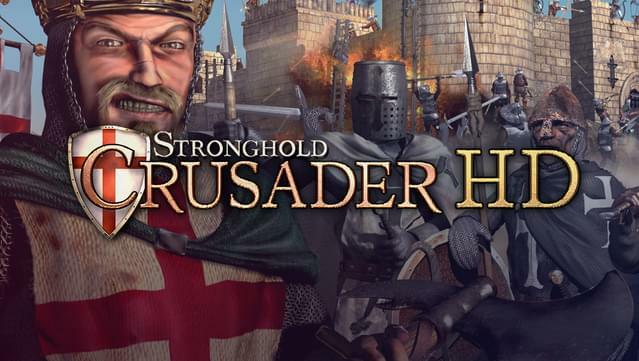 Stronghold Crusader HD comes packaged with content from both the Stronghold Warchest and Stronghold Crusader Extreme, including an increased unit cap of 10,000, new missions and special Tactical Powers.